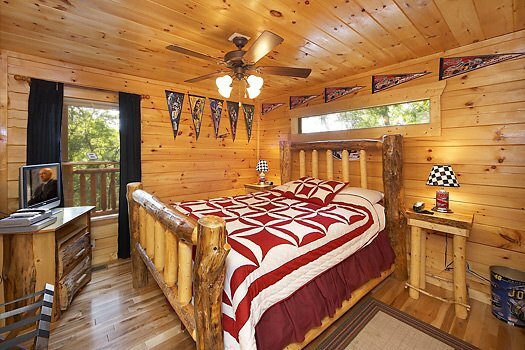 Race down to the Smoky Mountains and stay in the beautiful, custom timber framed, Nascar Nation log cabin. 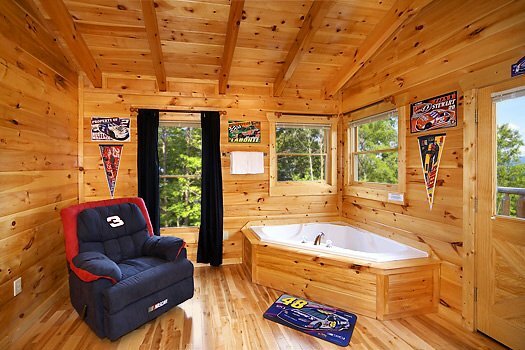 Rustic log beds and luxury furniture mix with a fun theme with original NASCAR memorabilia. 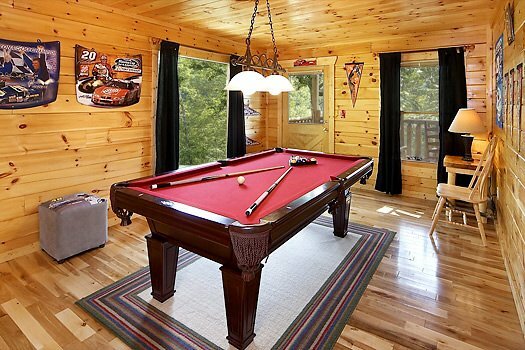 Put your feet up and take the wheel along side your favorite drivers including Dale Earnhardt, Jr., Bill Elliot, Smoke, The King, Jeff Gordon, and many more! 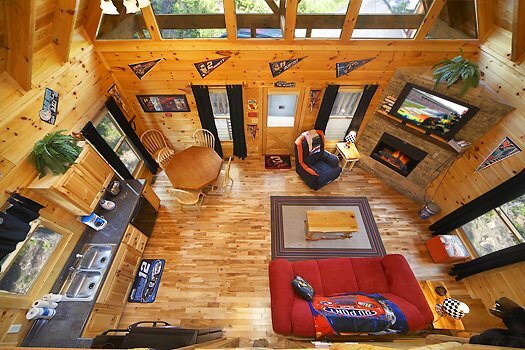 A 42" flat screen TV mounted over the stack-stone fireplace is the best way to watch the race or just your favorite cable show. 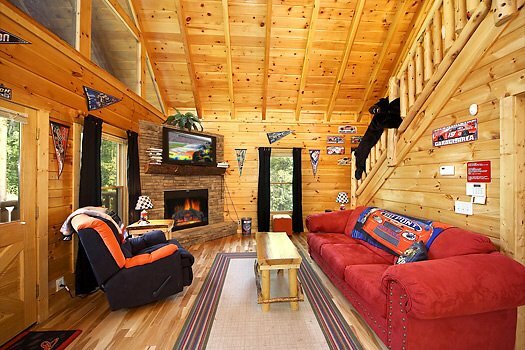 Authentic log beds and Nascar recliners accent the hardwood floors. 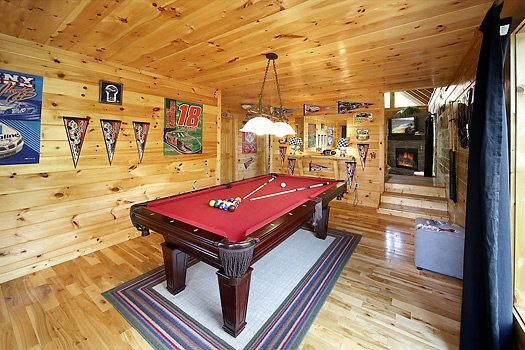 There is even a poker table and bumper pool table to compliment the Pool Table in the game room! 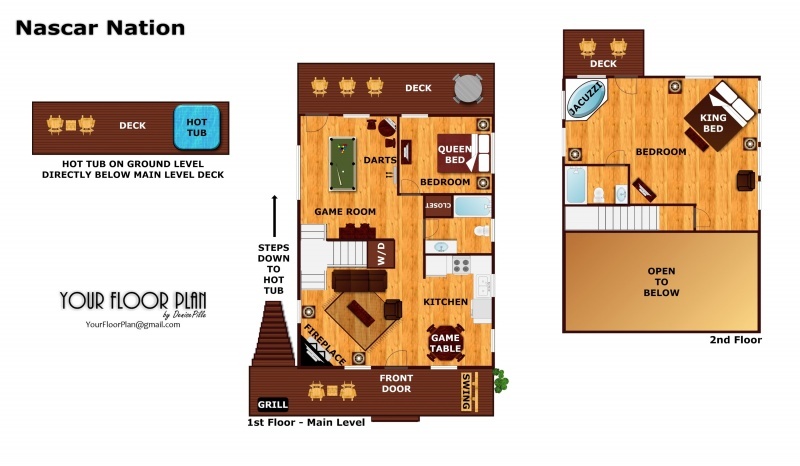 LCD Flat Panel TV's in the bedrooms have DVD players, too. 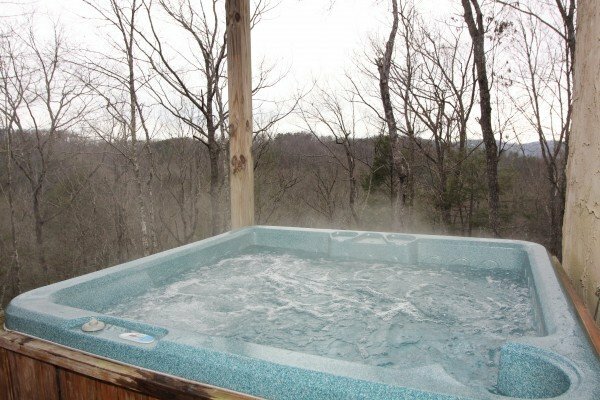 A very unique property that combines the best of location, amenities, and privacy in a secluded mountain retreat just outside Pigeon Forge. 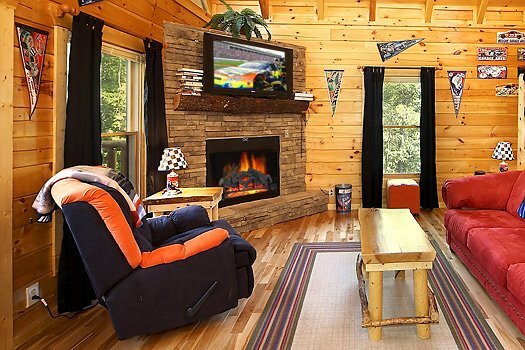 RACE to the Great Smoky Mountains and join the NASCAR NATION Today! Everything was just as expected. 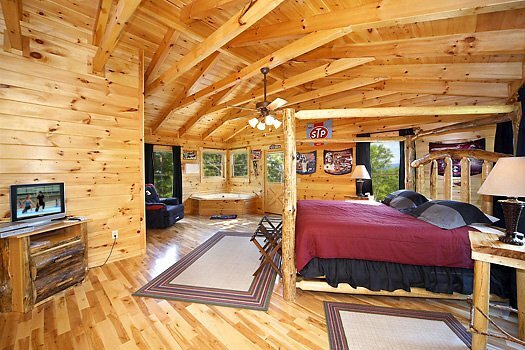 The pictures were identical to what we saw and we couldnt have been more pleased. Will definitely be booking with you guys in the very near future. 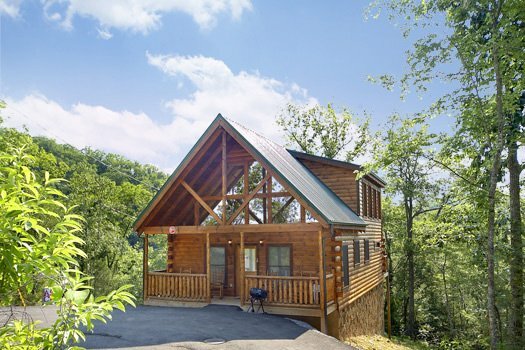 We were in the Smokies 16 years ago, now with 2 children we wanted them to have that same wonderful experience in the Smokies. They did!! Our kids loved it as much as we did if not more! We made life time memories. 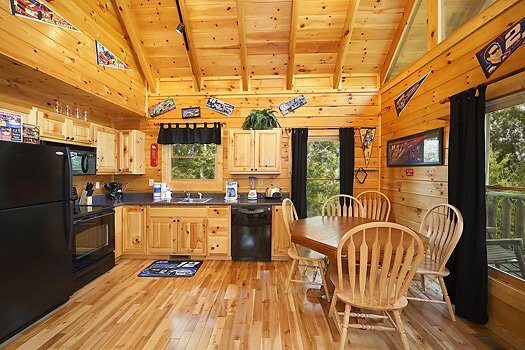 Wonderful cabin and wonderful service! Thank you! !